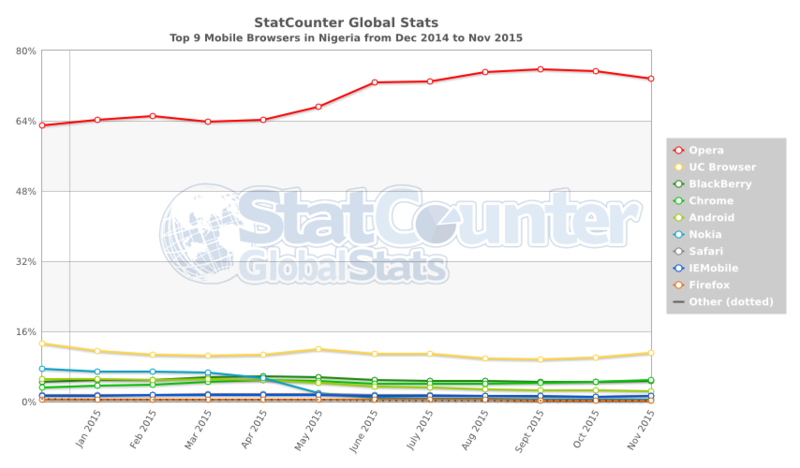 According to StatCounter statistics, the global usage statistic for the Opera Mini mobile web browser is about 11.3%. However, in some developing countries such as Nigeria (where I live), this percentage goes up to 73%. I only discovered this professional-life-altering fact about a week ago thanks to a friend, and it’s been seriously racking my brain ever since. Although, as a developer, I personally dislike Opera Mini for this fact, there is a reason that people use it. For a particular kind of user, for example one with very limited data connection, it is very useful. Even though their experience may be diminished compared to if they were using a fully-fledged browser, all the feature-cutting works for their particular needs. So, I decided to create this site, wtfoperamini.com, which is a list of all the unsupported or partially supported development features on the Opera Mini mobile browser, and some crowdsourced workarounds for them. Although this is directed at Opera Mini, I hope for it to be a useful resource for anyone practicing progressive enhancement or graceful degradation. The aim of WTF Opera Mini?! isn’t really Opera Mini bashing, but rather a way to crowdsource some workarounds people can use if they need to support the browser. If you have ideas for workarounds for this or other features, you can submit one yourself. Follow the instructions for contributing.